Robert Levy, trumpet, is one of this country's more diverse musicians. He has thirty recordings on more than ten labels to his credit as soloist, chamber musician, with jazz groups, and as conductor. A frequent guest soloist and clinician, he has performed and conducted throughout the United States, Canada, Australia, China, Portugal, Haiti, and Jamaica. He has served as guest artist and on the faculty for many summer music festivals and camps, including Interlochen, Empire Brass Symposium at Tanglewood, Red Lodge (Montana), Tidewater Music Festival (Maryland), Blue Lake Fine Arts Camp (Michigan), Encore/Coda (Maine), and numerous others. In 1991 he was guest artist-in-residence at the Western Academy of Performing Arts in Australia, performing a solo recital and presenting trumpet master classes. In 2001 he performed and presented master classes at three music conservatories in Beijing and Xian in China. Mr. Levy has recorded and toured both as soloist and with marimbist Gordon Stout as the Wilder Duo, with the Iowa and Tidewater Brass Quintets, with the Boston Jazz Composers Alliance, and the Ken Schaphorst Big Band. He has recorded and performed with many of today's finest brass artists, including David Jolley, Martin Hackleman, and Bill Scharnberg, horn; Chris Gekker, trumpet; Michael Powell, trombone; David Taylor and Thomas Everett, bass trombone; Sam Pilafian and Harvey Phillips, tuba; and Brian Bowman and Loren Marsteller, euphonium. His most recent CD's, "Cross Over" on the Stellar Sound Productions label and "Blackberry Winter" (Mark Records), received high praise from Cadence magazine. Other recordings have been released on the Serenus, Trilogy, CRI, Accurate, Klavier, Golden Crest, and Northeastern labels. He has also performed with the National Symphony Orchestra, and as soloist at Carnegie Recital Hall, the Museum of Modern Art, and the New York Brass Conference, and has twice been a featured guest soloist for the International Trumpet Guild's Annual Conference. He has also served on the Board of Directors and Composition and Commissioning committees for the International Trumpet Guild. As clinician for the Getzen Company since 1992, he has also been a guest artist/clinician for the American Brass Quintet Chamber Music Seminar at Juilliard, Empire Brass Quintet Symposium at Tanglewood, with the Canadian Brass, and Monumental Brass Quintet in Washington, D.C. His appearances in almost all fifty states have repeatedly received enthusiastic responses. A leading proponent for contemporary music over the past thirty years, Levy has premiered more than one hundred thirty works as soloist, chamber musician, or conductor. Mr. Levy continues to "champion" the music of American Composer Alec Wilder, with whom he enjoyed a close association for many years. Since 1987 the "Robert Levy Brass Series" with Nichols Music Company (now Ensemble Music) has grown to include more than 40 works including compositions by Levy. As a composer, his works have been premiered and performed by some of the leading brass artists in the country: Chris Gekker, Sam Pilafian, and David Taylor among them. In 1997 Levy was awarded a fellowship to attend the Virginia Center for the Creative Arts, which followed a "New Work" commissioning grant award from the Wisconsin Arts Board. Locally he performs with the Lawrence Brass, Extempo, and Flex, and is co-leader of the 17 member Big Band Reunion, which recently produced its first CD following performances with Carl Fontana, Ed Shaughuessy, Clark Terry, Bill Watrous, Marlena Shaw, and Eddie Daniels. He holds membership in the International Trumpet Guild, and Wisconsin Alliance for Composers. Robert Levy holds degrees from the Ithaca College School of Music and University of North Texas. Formed in 1976, the Wilder Duo with marimba virtuoso Gordon Stout, has performed throughout the United States, creating a new repertoire for trumpet and marimba. Their pioneering duo has produced major works from Allan Blank, Paul Turok, Eric Ewazen, George Andrix, and Alec Wilder along with more than thirty other new compositions. They have performed three times at Carnegie Recital Hall, for the Percussive Arts Society, International Trumpet Guild, at numerous colleges and universities, over Wisconsin Public Radio, for the Annual "Friends of Alec Wilder" New York concert series, and established the Wilder Duo publication series for the Nichols Music Company (Ensemble Music). For more than thirty years a prime "mover" in the brass world community, Robert Levy has performed and/or recorded with the faculty brass quintets at Ithaca College, the University of Iowa, and Lawrence University. Several groundbreaking works were premiered and/or recorded by the Tidewater Brass Quintet in the 1970's. Among them were works by Eric Ewazen, Brian Fennelly, and Alec Wilder. Numerous stops followed along the way with brass quintet personnel numbering more than fifty, at Oberlin's Summer Music institute and many summer music festivals. In 1998 he recorded the newly published Alec Wilder Jazz Suite for Brass Quintet with Chris Gekker, trumpet; David Jolley, horn; David Taylor, trombone; and Sam Pilafian, tuba; for an all Wilder soon to be released brass cd. Continuing to the present day Robert Levy performs regularly with the Lawrence Brass, (faculty brass quintet in residence at Lawrence University) and in summers at music festivals. In addition, he has enjoyed a close musical association and presented masterclasses and coaching sessions in the brass quintet medium for the American Brass Quintet at Juilliard, Empire Brass Symposium (Tanglewood), Canadian Brass, Monumental Brass Seminar (Washington, D.C.), at the Manhatten School of Music, Indiana University, and at numerous other colleges, universities, and high schools. With avant garde cellist Matt Turner, exotic percussionist Dane Richeson, and the creative modern dancer Betty Ebben-Wimmer, Robert Levy performs on conch shell, garden hose, natural trumpet, piccolo trumpet, and several other horns in this eclectic modern dance/improvisation ensemble designed to appeal especially to younger students. The improvisation quartet has presented concerts and workshops throughout Wisconsin for the Arts World Institute, Lawrence University, UW-Stevens Point, and numerous grade schools. Supported by the Fox Valley Arts Alliance, Wisconsin Arts Board, and the CAP Arts Advocacy program, their presentations are designed to "awaken the creativity within the child" and "to teach students to participate and express their own creativity." All their concert/presentations have received enthusiastic responses from school children. 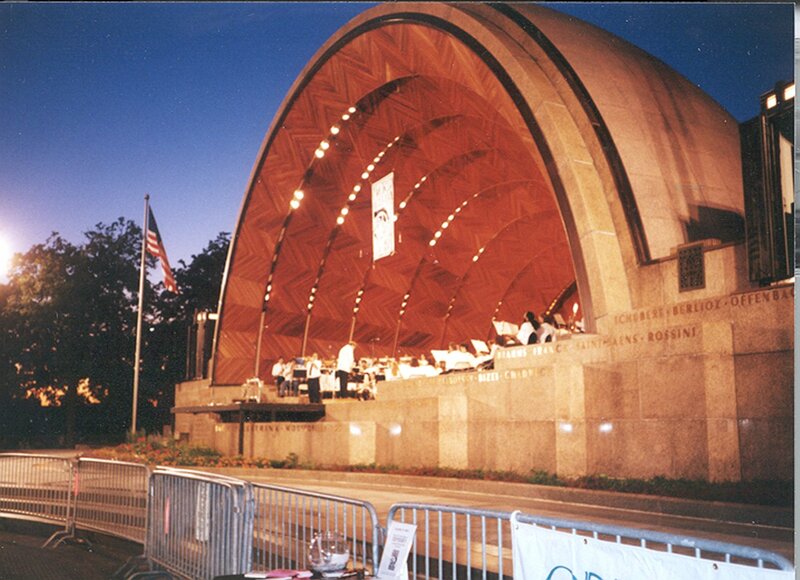 Robert Levy performing as soloist with the Harvard Summer Pops Band in Boston at the Esplanade. 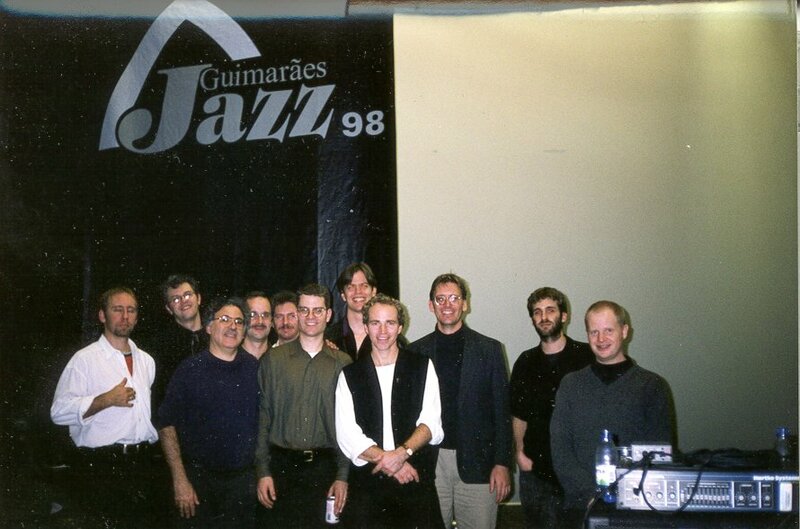 In Portugal at the Guimaraes Jazz Festival with Ken Schaphorst's "When the Moon Jumps Band."